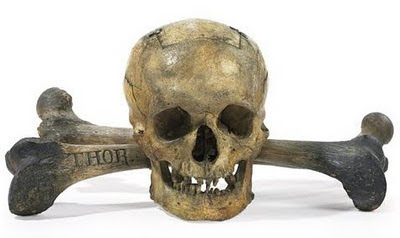 This is quite possibly the weirdest little thread of stuff I've ever seen in the rich history of linguistic science at the University of Wisconsin – Madison: The Yale Daily News reports here (it was just covered on NPR's Marketplace too) that a Skull & Bones artifact is up for auction at Christie's, pictured here. The little flap on top is apparently hinged, possibly used as a ballot box. Edward T. Owen (1850 - 1931) was an educator and real estate speculator, and was a driving force behind the Madison Park and Pleasure Drive Association, which purchased land for public parks and drives decades before the city saw such need. In 1892 he bought a fourteen-acre tract of what was then wooded land along a commanding height about a mile south of Lake Mendota, parallel to the northern boundary of Resurrection (then Calvary) Cemetery. He donated it to the city as a pleasure drive dedicated to the memory of his daughters. Off to the library to see this one! Be kind in what you say, please. That is my great-grandfather. Nothing in here counts as unkind, I hope. It is amazing to enjoy the vision that an amazing person had so long ago, today! Thank you Professor Owen and his descendants!